My Brain Map™ is a private psychology practice providing comprehensive neuropsychological assessments, counselling and leading edge treatment for optimal brain health in Double Bay. We utilize a multifactor approach to understand the underlying biological, psychological and social factors of your symptoms. We conduct a diagnostic interview in your initial consultation to capture detailed developmental history where the focus is on your concerns/issues and what you may wish to address. At My Brain Map™ we utilize a multifactor approach to understand the underlying biological, psychological and social factors of your symptoms. We conduct a diagnostic interview in your initial consultation to capture detailed developmental history where the focus is on your concerns/issues and what you may wish to address or change. We can then formulate a tailored strategy to provide you with the tools to create positive outcomes. The process may include a comprehensive assessment of your brain to see whether its performing at its best, and then we put together your personalised brain map, outlining the strategies you need to improve your brain health. We provide a road map to better brain health and to boost cognitive reserve. 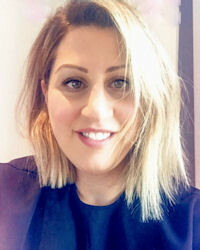 Jacqueline draws from over 17 years’ experience as a registered Psychologist in the corporate and private sector, postgraduate training in clinical neuroscience at the Brain & Mind Research Institute at Sydney Medical School, and as a brain researcher at The University of Sydney Medical School. She enjoys working with children; adolescent and adult clients across a range of areas . Traditionally a consultation hour is approximately 50 minutes. Please arrive at least ten minutes prior to your appointment. Payment is required in full on the day of session.